The HMG Strategic Coherence of ODA-funded Research (SCOR) Board has been created to bring an overall perspective on the funding, expertise and experience of all parts of HM Government. Today, Professor Baron Peter Piot KCMG has been announced as the first Chair to lead the HMG Strategic Coherence of ODA-funded Research (SCOR) Board. The SCOR Board has been created to bring an overall perspective on the funding, expertise and experience of all parts of HM Government. It will provide high-level strategic coordination for the UK’s ODA-funded research with the aim of maximising its impact and putting the UK in a leadership role in the international development community. The SCOR Board will be hosted by the UK Collaborative on Development Sciences (UKCDS). Professor Piot will take up post on 1 November 2017. 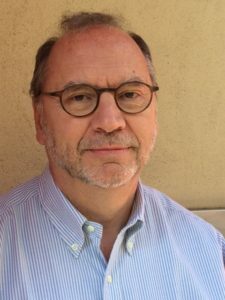 “Professor Piot’s wealth of knowledge and experience in academia, science, international development and policy, and his pivotal role in delivering evidence-based collaborative solutions to global health issues, makes him well-placed to take on the role of the SCOR Chair and continue being a key part of our global leadership in international development. “I am delighted to take up this role as the first chair of the SCOR Board. The new ODA-funded research is a unique and much needed opportunity to strengthen the evidence base for international development, building on the UK’s considerable scientific and international development expertise. Strong coherence of all initiatives and activities will ensure superior research, timely results, as well as value for money of public resources. The UK Collaborative on Development Sciences (UKCDS) is a group of 14 UK government departments and research funders, who have a shared interest in international development. A small Secretariat brings this group together with other key organisations in a neutral space to share knowledge and identify opportunities for collaboration. By stimulating collaboration, UKCDS ensures the best science is funded and used to benefit international development, as well as the UK. UKCDS will be changing its name to UKCDR (UK Collaborative on Development Research) later this year to fully reflect the work they do. There is a perception that the S (Science) in UKCDS implies they work solely within the physical sciences. However, their remit is broader as they cover all research – academic and non-academic. UKCDS/UKCDR support all activities to deliver robust evidence and knowledge to inform development. Professor Piot is Director of the London School of Hygiene & Tropical Medicine and Professor of Global Health. He is an internationally respected scientist and was a key member of research team which discovered the Ebola Virus in Zaire in 1976. He has held the most senior positions in a wide range of UK and international research institutions. He was also the founding Executive Director of UNAIDS and Under Secretary-General of the United Nations from 1995 until 2008. Under his leadership UNAIDS became the chief advocate for worldwide action against AIDS, also spearheading UN reform by bringing together 10 UN system organizations. He was awarded an honorary knighthood KCMG in 2016.